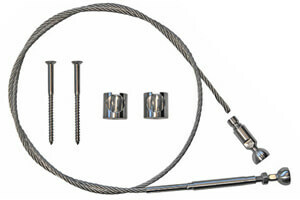 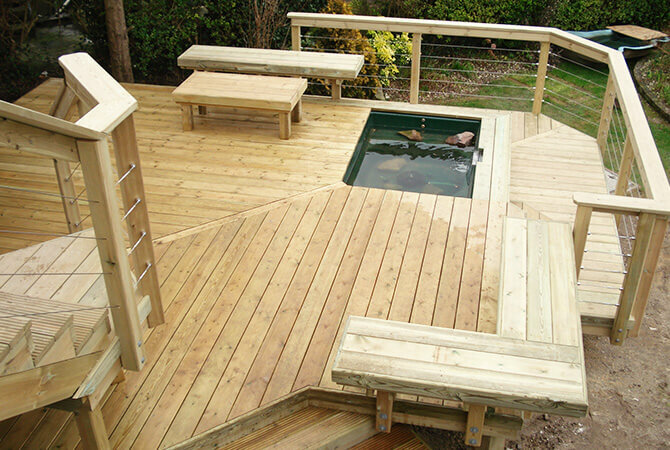 A complex decking solution using stainless steel railing cables. 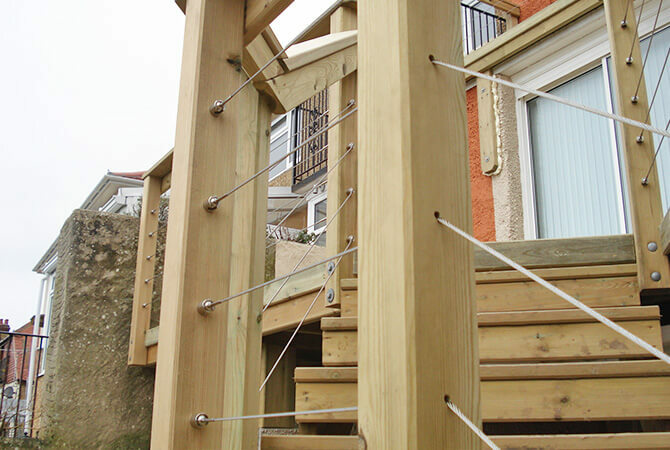 You can see the ball and socket cable rail system articulating to take the angles and turns in the design. 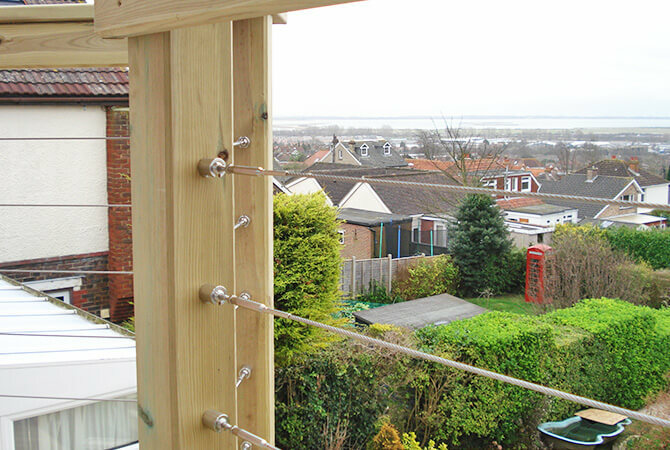 Here you can see the balustrade deck cables just run through the post naturally taking the angle when under tension.